Who doesn’t want to match their puppy? This order consists of matching scarves for dog and adult. 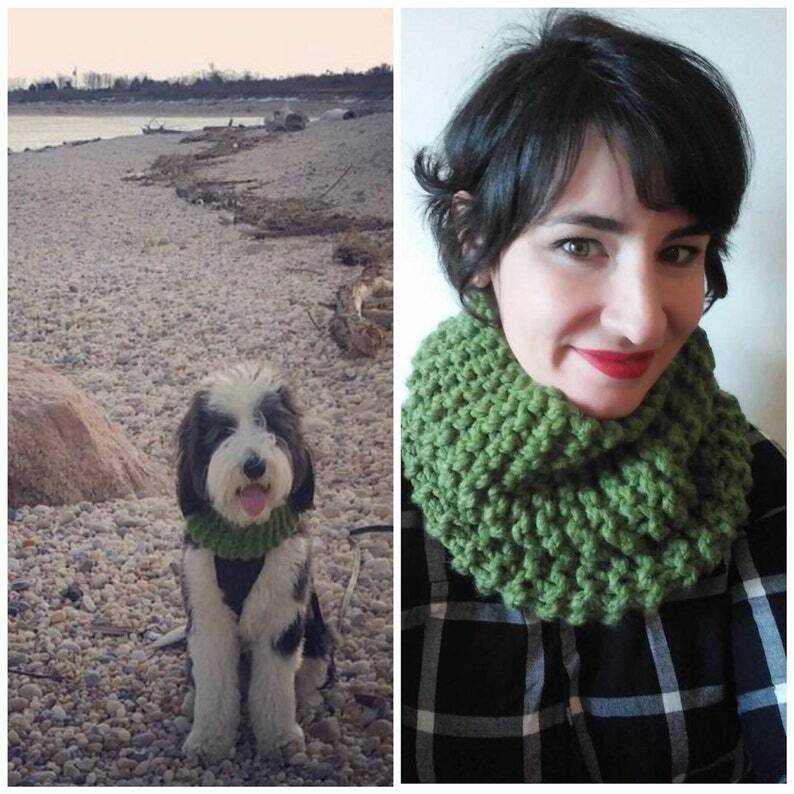 This cowl scarf is perfect for doggies because it slips right over their head and won’t fall off...I can make them in just about any color! Please either measure your dogs neck or tell me if he or she is small, medium or large!! I will make a matching one for YOU as well.